The district began its shift to student-centered blended learning in an effort to increase academic outcomes for advanced learners. After learning more about the benefits of blended learning, through its pilots and various external resources, the district has come to recognize the potential benefits of blended learning for all of its students. Early in the redesign process, Cisco built a vision for blended learning that could impact all of its students. In its vision, Cisco defined core elements of their desired student experience, which they call “pillars.” Cisco’s blended learning pillars are helping its schools and teachers redesign pilot classrooms and manage the change process. Data-Driven Instruction. Data-driven instruction at Cisco involves reflection, analysis, and action around data and assessment. Cisco’s adoption of the NWEA MAP test helped catalyze its data-driven approach, illuminating the power of data to identify students’ areas of need. Teachers use data to monitor progress throughout the year and to determine instructional groupings, modify instructional activities, and adjust pacing as needed. Student Agency/Engagement. The student agency and engagement pillar is designed to give students more ownership over their learning. Students track their own progress, set goals, and converse with teachers about their goals and progress. Students are also able to make choices in their learning, often through the use of playlists. Personalized Learning Experiences. 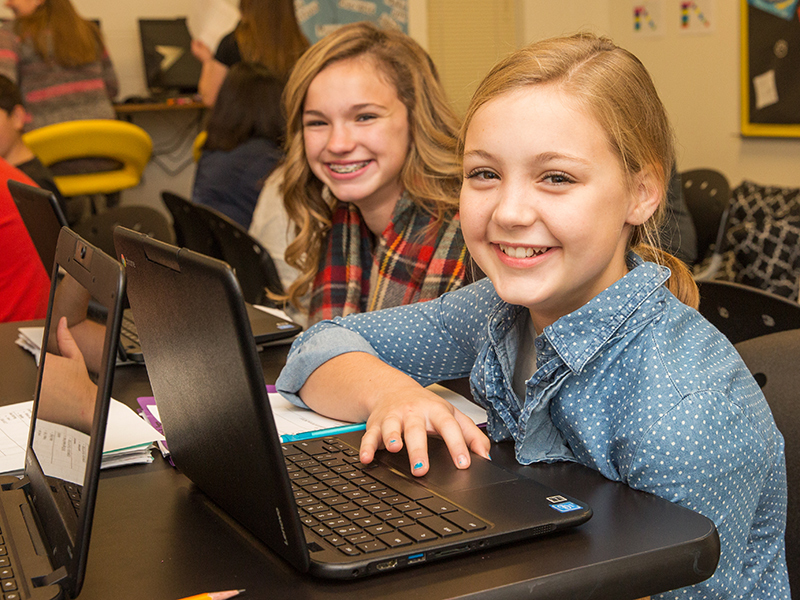 Blended learning at Cisco provides students with instructional experiences that are more aligned with their individual learning needs, interests, and passions. Small group instruction, playlists, and 1:1 conferencing helps teachers meet individual learning needs. Students express a strong interest in working with peers, and Cisco educators work to create more learning opportunities based on student collaboration. Rigor/Competency Progression. Rigor/Competency progression illustrates Cisco’s desire for students to have high academic standards for themselves. Despite historically high performance on state standardized tests, Cisco knows their students need to be more challenged in their learning if they want to be prepared for life after school. Students at Cisco are able to engage in challenging learning activities and dialogue, and progress to more challenging content when ready.